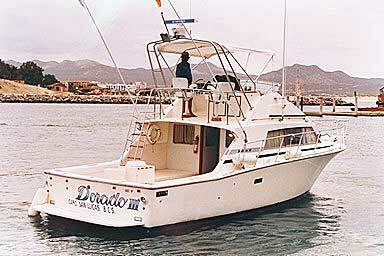 ​One of Cabo & San Jose del Cabos's best twins, newer model Bertram equipped twin turbo Cats, Penn Intl. Gear, outriggers, large flybridge with forward seating for comfort and visibility, built-in transom live bait tank & tuna tubes, recently added Two Fighting Chairs and Shade, large padded seating on port & starboard sides to sit or lay down, shade & restroom, VHF radio, plus Captain "Julian" has placed 1st in all of Cabo's tournaments. For serious anglers, this is your boat & crew! 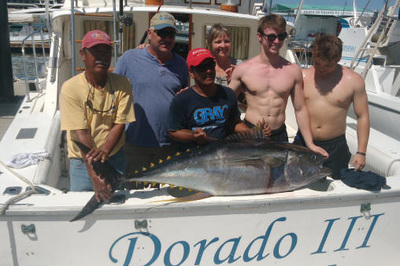 Includes: Tournament winning Captain & Mate, Penn International 2 speed and Senator reels, wide selection of lures including trolling lures for Marlin, Dorado & Tuna plus smaller lures for Sierra, Skipjack, Tuna, Roosterfish and more. 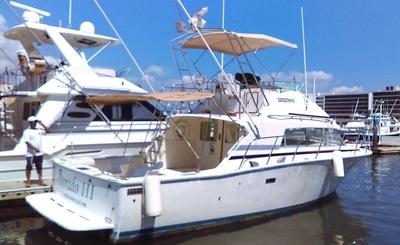 Sportcruiser, fuel, crew, all Penn Intl fishing gear & tackle, ice, tax, dispatch fees & dockside bilingual departure/arrival assistance. Why not add the extras - food, drinks, bait, & license & dock fees, so you don't have to worry about anything but just getting on the boat! 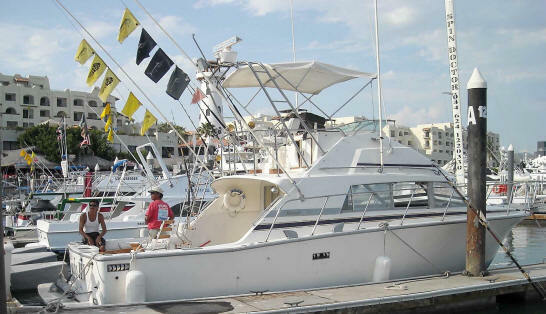 Above Charter with "Just get on the Boat", All-Inclusive option: 4- anglers $190/day extra- includes in addition to regular charter: 10-live bait, lunch, fishing license, & 20 drinks(all beer or mix of soda/water/beer & dock fees , 6- anglers all- inclusive option $255/day extra - includes in addition to regular charter: 10-live bait, lunch, fishing license, & 24 drinks(all beer or mix of soda/water/beer & dock fees. 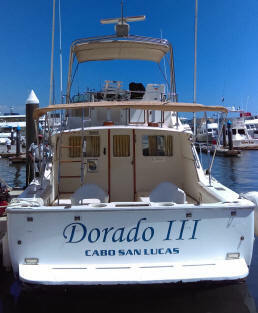 Note, This boat is also available to fish out of the Cabo Marina or Puerto los Cabo in San Jose del Cabo. Let's Fish! Check on Reservations! 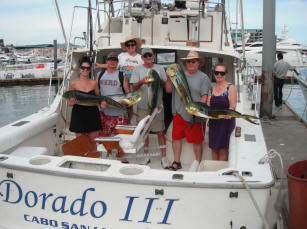 Check Cabo Moon Phases for best fishing days! 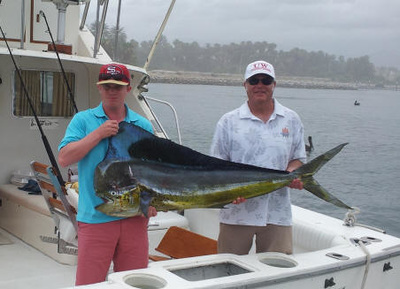 ​1993-2019, 26 years fishing Cabo!